Over the past several decades much has been learned about arterial stiffness and central blood pressure (BP) and their relations to left ventricular (LV) remodelling and hypertrophy. In addition, the impact of central hemodynamics on LV performance and the development of clinical heart failure is under active investigation and is of particular importance from a public health and therapeutic standpoint. 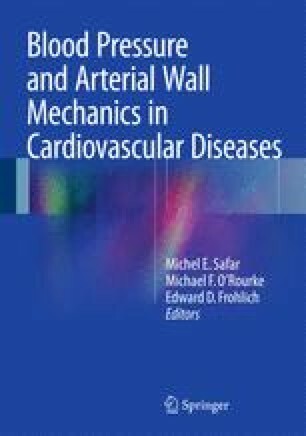 The ability to examine these topics has been vastly accelerated by the development of reliable, noninvasive technology to permit evaluation of cardiac and vascular structure and function on an epidemiologic scale. The present review will discuss data regarding the interaction of arterial stiffness and central BP with LV structure and function; the impact of arterial stiffness on the development of heart failure, particularly with preserved ejection fraction, will also be discussed.